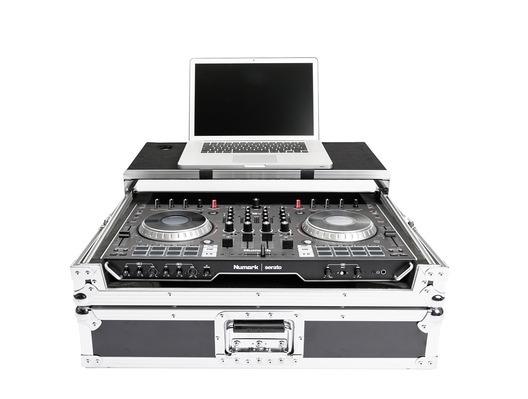 The Magma DJ Controller Workstation NS6II has been designed to fit the Numark NS6II DJ Controller along with a laptop. 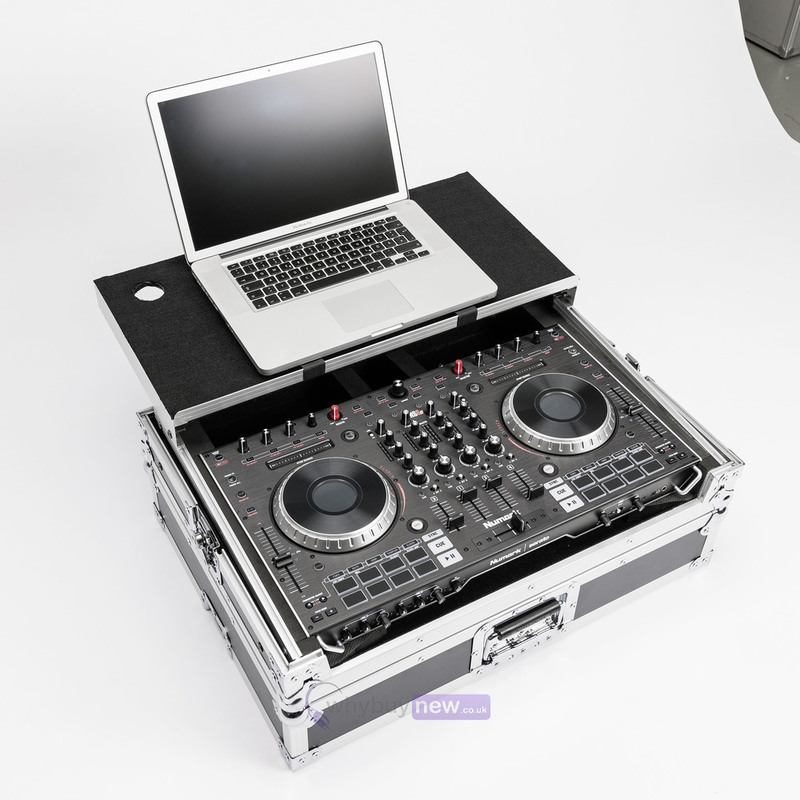 The Magma DJ Controller Workstation NS6II is the perfect solution for professional DJ's and mobile DJ's who want a flight case that will not only protect their controller while travelling to and from gigs but then will also protect it while it's in use at the gig. 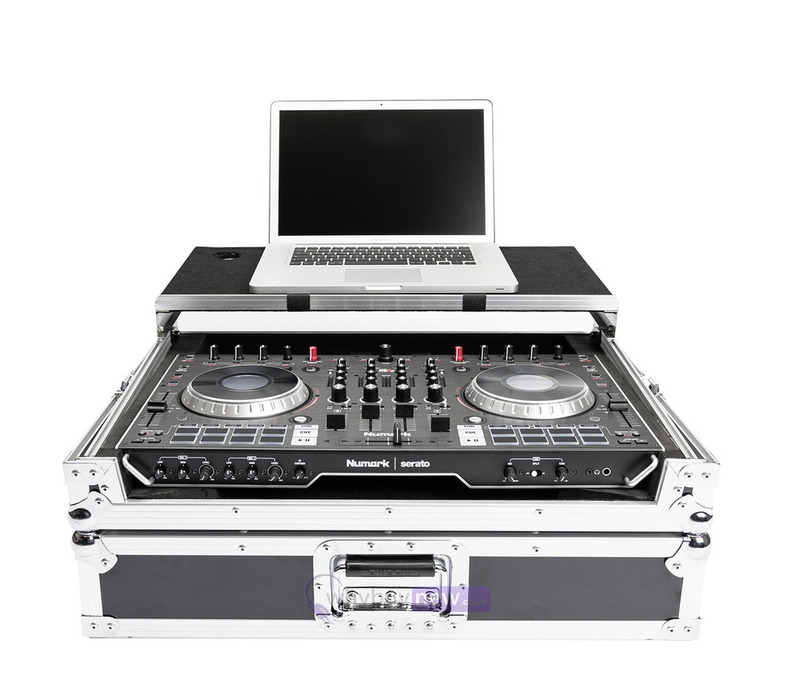 Customized to transport and protect the Numark NS6II DJ-Controller. 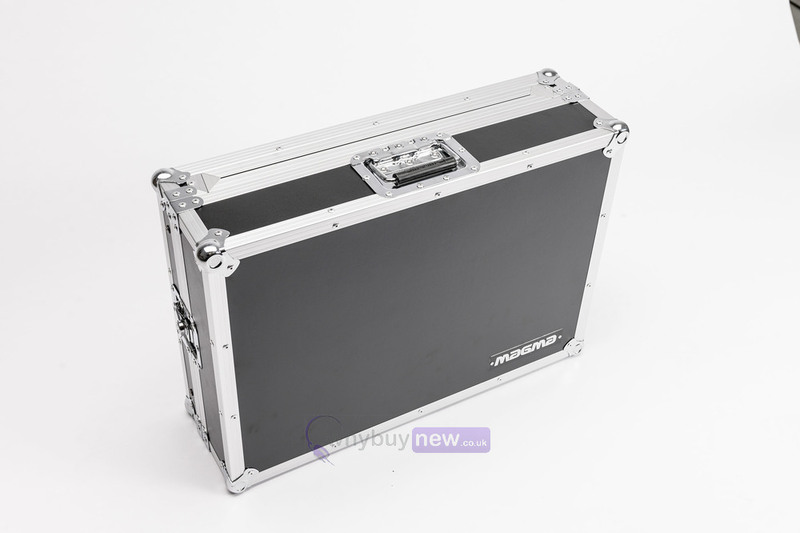 Crafted from 9 mm vinyl laminated plywood, sturdy aluminum profiles and heavy duty butterfly latches, it provides you with secure transport and workstation in one. 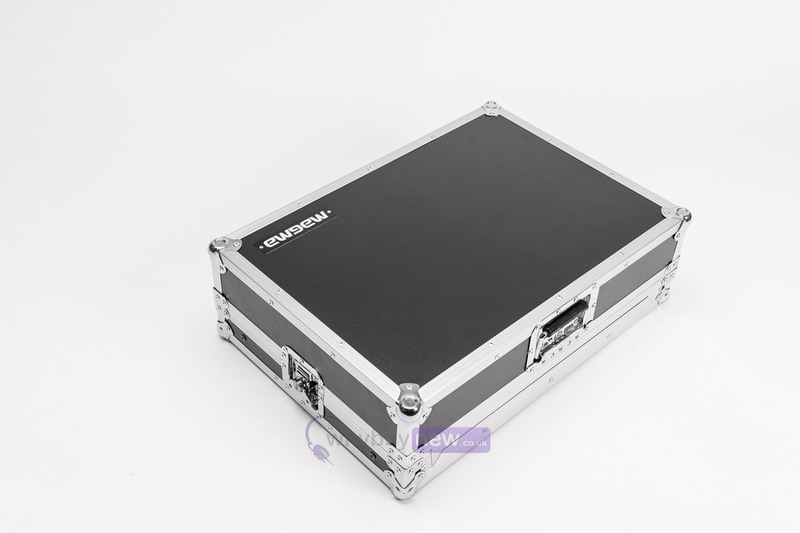 Thanks to the integrated gliding laptop platform and the convenient cable access port, the setup is ready for action in no time at all.